Who among you would say that he or she doesn’t want a sophisticated kids bunk bed inside his or her house? Well, this is the need of every house where there are some kids. I can’t say anything about the bachelors, but people with families must need these bunk beds. This has always been a kind of charm for the younger kids where one bed frame is stacked on top of another. So they just love to live in such a mingled position with their siblings. 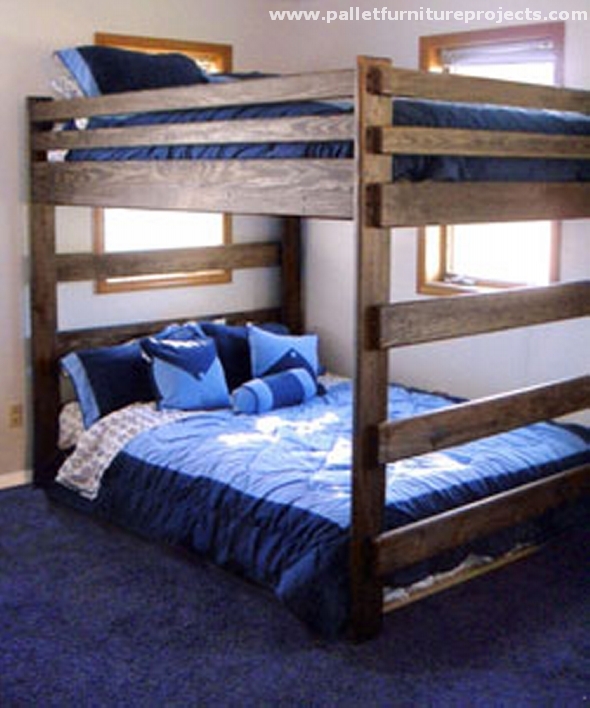 Here are some of the great wood pallet bunk bed ideas. Pick one out of them according to your available space with you. This time we have decided to bring in some rough and rustic wooden pallet bunk beds. 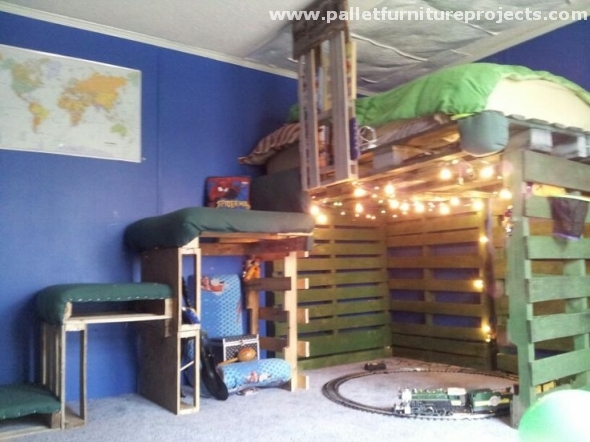 This is a huge wood pallet recycled bunk bed set up, a whole wooden frame is supporting a bunk bed above, and the whole stairway is leading to that bunk bed. Girls are always deemed to be much inclined towards decency and sophistication. 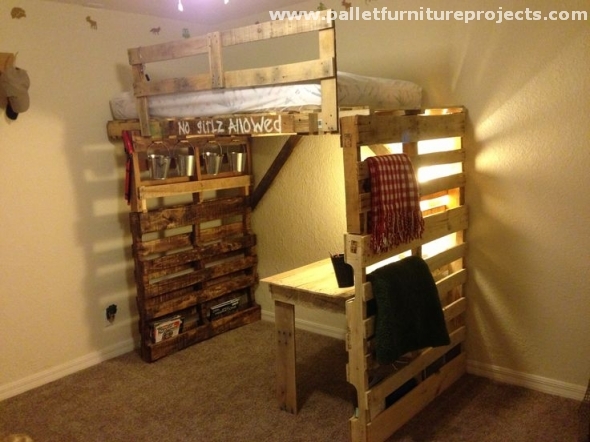 And this can easily be observed in this wood pallet bunk bed project. Bright white stain all over the wood, and baby pink colored mattress is set there for baby girls and they would love the entire set up. This is a classic sort of wood pallet bunk bed demonstration. This can easily be perceived from the size of beds that this is designed for some relatively bigger or school going kids. Though the wood is left pretty unstained in its natural color. 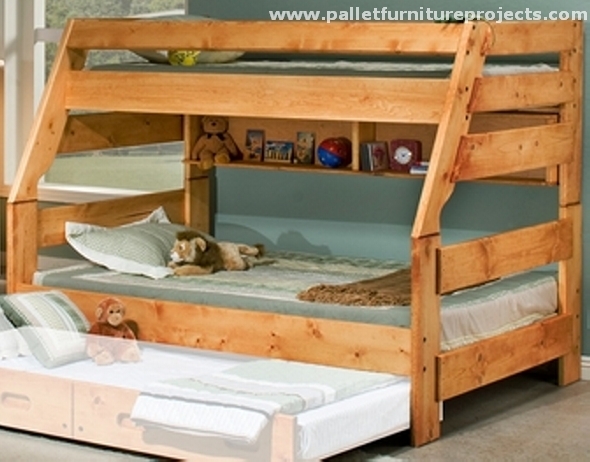 Still it is an attractive wooden pallet bunk bed. 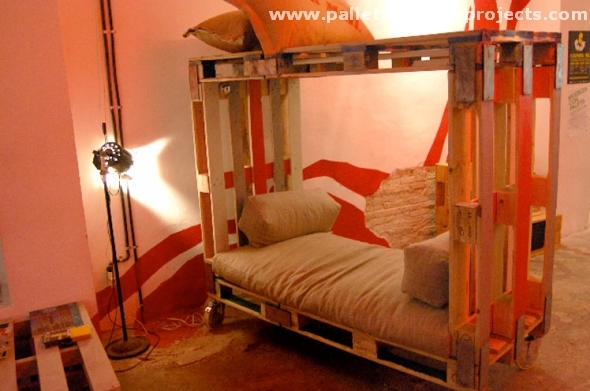 Keep adding some modern features in a wood pallet bunk bed and you would end up in something like this one. This cute multi storey wood pallet bunk bed having some built in drawers, a well planned couple of wooden beds, and a perfect wooden ladder leading to the upper storey. When the kids are quite younger, they might not be that choosy in the matter of color schemes. All they need is comfort. This one has got all the comfort and luxury for them embedded with ultra luxurious mattresses. Wow, this one is simply love. This is all about imagination and creativity. Using the same wooden pallet planks, this is literally a master piece carrying one of the best designs of all times. Despite of the rustic and rough look of the bunk bed, its design has over shadowed all the flaws in it. 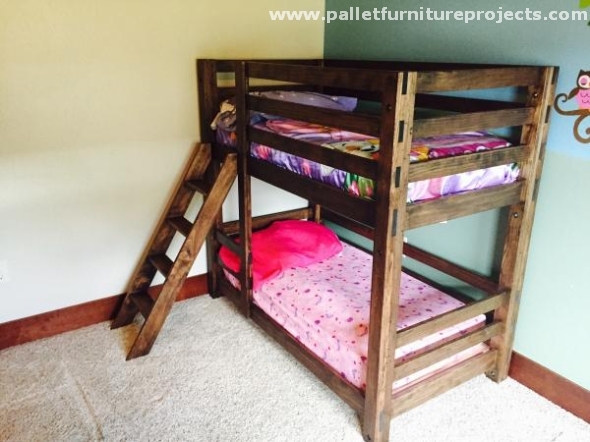 This is again a plain and simple wooden pallet bunk bed project. 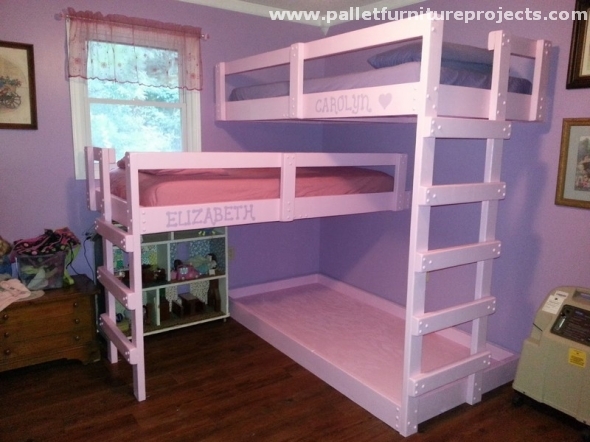 Straight and plain wood pallet planks are used in making this simple bunk bed. Though the wood texture is very well sanded and smoothened to ensure the delicacy. Still there is much room provided for some further modifications if desired. 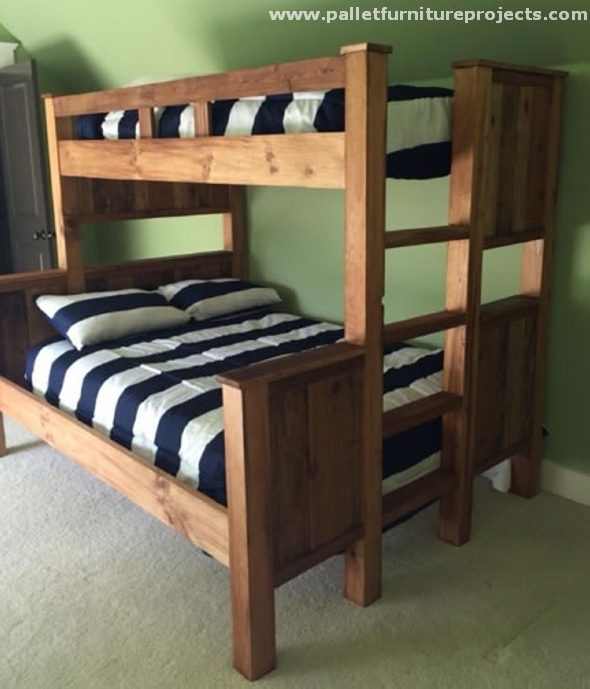 What would you say about this mobile pallet wood bunk bed? It has got huge built in wheels that make it easily mobile. Kids can simply drag it to the any corner of the room. A complete package of style and comfort.